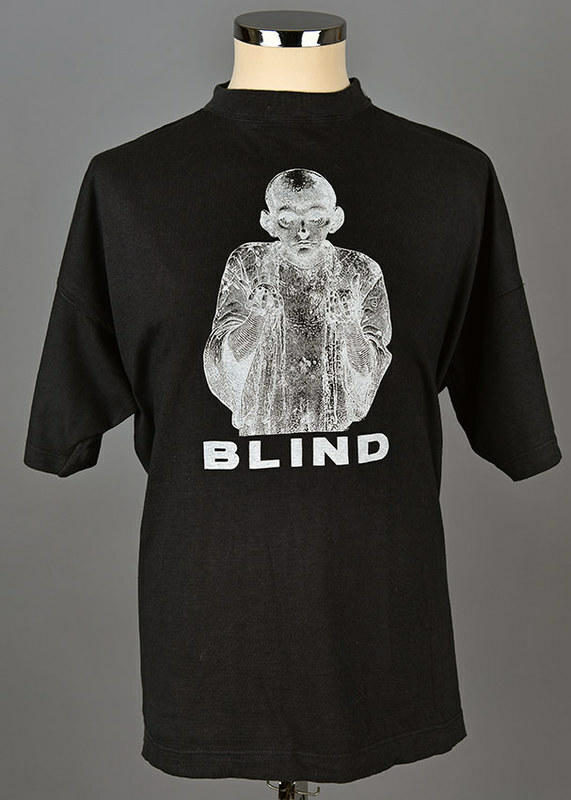 Black shirt with picture of a blind man. On back: Silence=Death Action=Life. “Action = Life,” Wearing Gay History, accessed April 20, 2019, http://www.wearinggayhistory.com/items/show/4649.